As an environmentally friendly Plumber in Plymouth, we believe that every house that can have solar hot water panels should do so. As a Plumber in Plymouth, we use the latest renewable technology so you as a customer gets the most efficient renewable energy package. 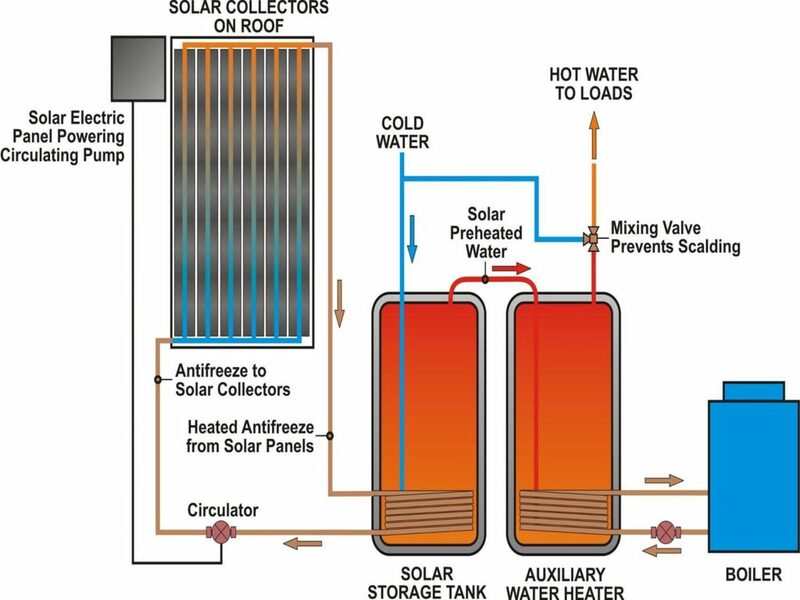 Solar water heating systems use free heat from the sun to warm domestic hot water. A conventional boiler or immersion heater is then used to make the water hotter or to provide hot water when solar energy is unavailable. To see a fully working solar hot water heating system, please contact us. Did you know that the South-west is geographically one of the most optimal areas for solar heating in England. As an environmentally friendly plumber in Plymouth, we believe that every house that can have solar thermal panels should do. Our heating engineers use the latest renewable technology so our customers get the latest, most efficient renewable energy package. Does solar thermal really work in Plymouth? The South-west is the most optimal place in the United Kingdom for solar hot water. Unless your home is a listed building or in a conservation area, planning permission is unlikely to be required as fitting solar panels or collectors would typically be covered by the right to permitted development. Our Plymouth based heating engineers will be able to advise you. It is always best to fit your solar panels or collectors on a south facing roof however if your property has a suitable roof surface which faces towards the east and west then you may be able to still benefit from a Greenskies solar thermal system. Our qualified installers are able to offer you a free no-obligation home visit quotation.